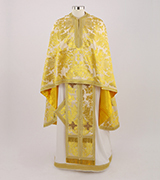 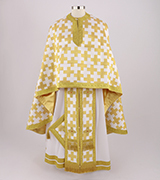 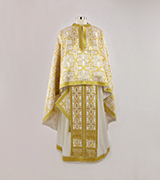 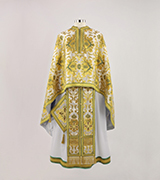 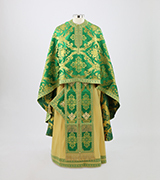 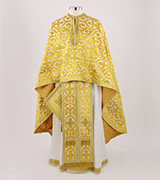 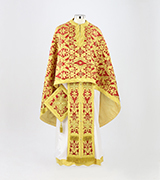 Green, gold, and yellow brocade priest's vestment with golden crosses. 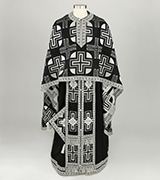 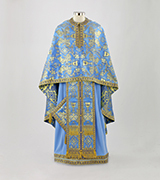 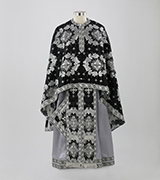 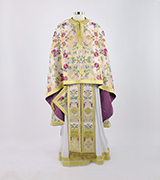 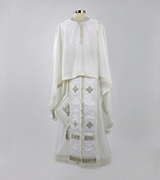 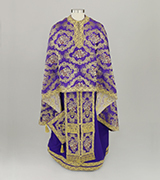 Puple and gold brocade priest's vestment with golden crosses. 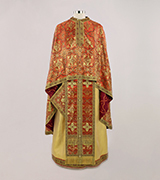 Crimson and gold brocade priest's vestment. 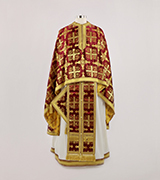 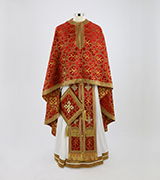 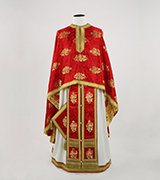 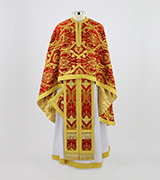 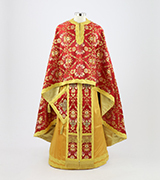 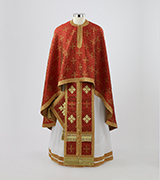 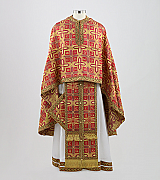 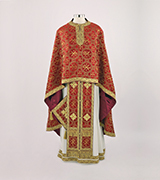 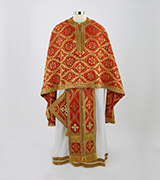 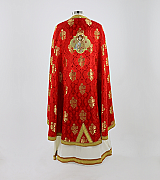 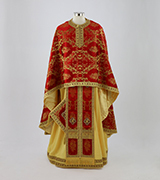 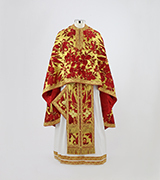 Scarlet and gold brocade priest's vestment with metallic accents. 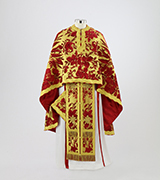 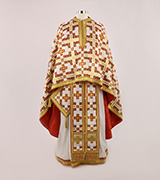 Scarlet and gold brocade priest's vestment. 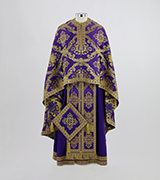 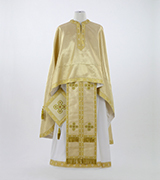 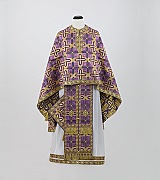 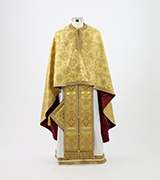 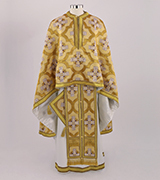 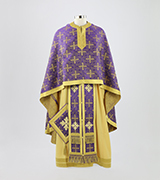 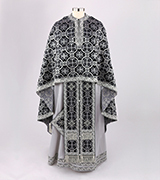 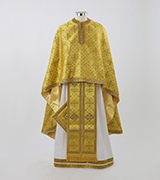 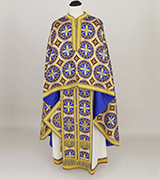 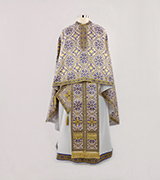 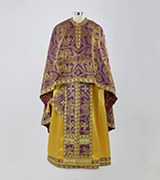 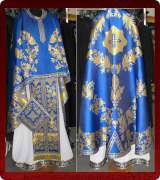 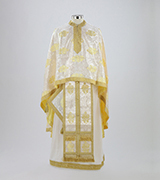 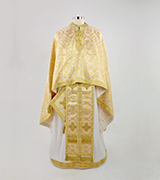 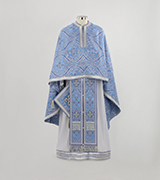 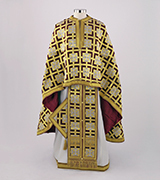 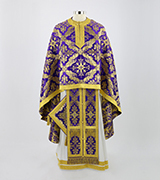 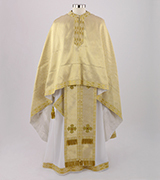 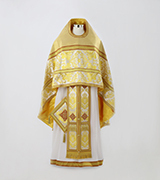 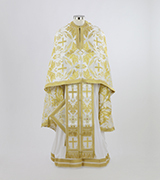 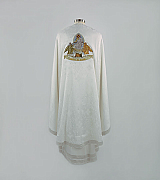 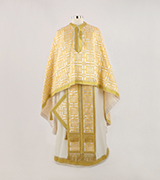 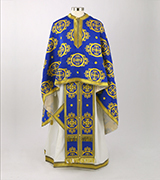 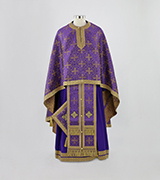 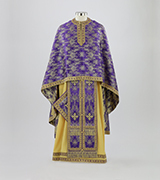 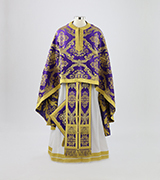 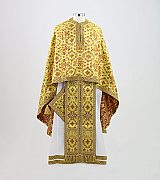 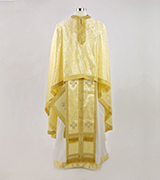 Purple and Gold brocade priest's vestment featuring the icon of Christ.